What’s to Love: Sunriver feels like a community built around 30+ miles of paved walking/biking paths. When you’re there, it feels like everything (i.e., the pools, the tennis courts, the homes, condos, etc.) was an afterthought to this incredible network of trails. Most of the time, these paved trails are completely separated from the roads, which adds an element of safety. Hoodoo ski resort provides an excellent skiing resort for families with small children. There is also a great tubing hill called “The Autobahn.” While skiing at Hoodoo, book a family cabin at the Suttle Lake Resort. 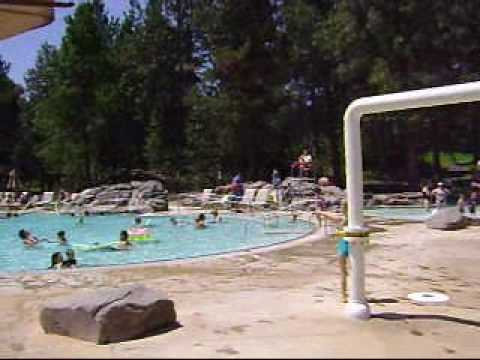 If your kids are 14 and older, you can stay in the actual Lodge at Suttle Lake. Rock Climbing at Smith Rock! If climbing with kids at Smith Rock, I recommend Jim Albao of Chockstone Climbing Guides. Jim has over 18 years of experience and works well with children.